Navigating a library automation system should not require a working knowledge of cryptic icons, confusing menus, and multiple windows scattered on the screen. Doesn’t your college or university library deserve better? TLC’s expansive list of user-requested features is carefully and purposefully presented to your staff and students in easy-to-use AND easy-to-learn interfaces. 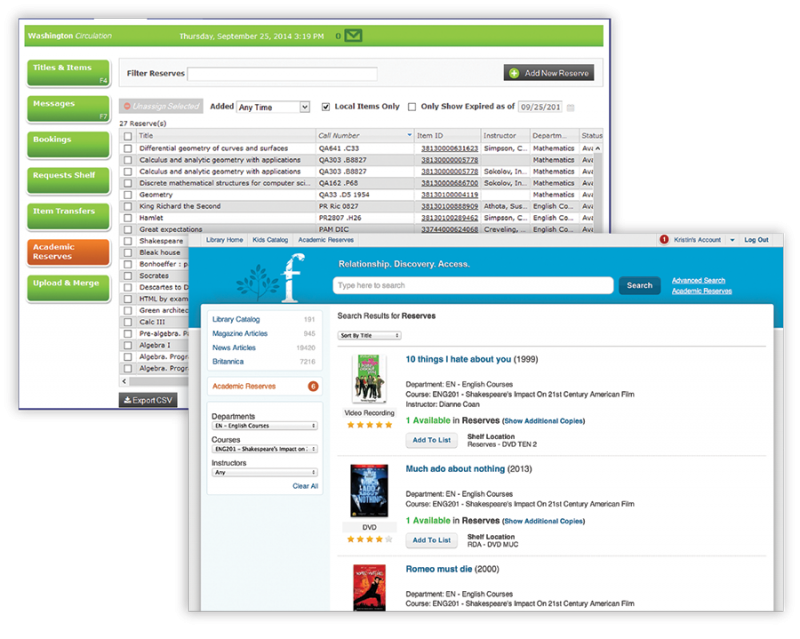 TLC’s Academic Reserves functionality for Library•Solution is a powerful tool for college and university libraries. Staff members at academic libraries use the LS2 Staff module to add, edit, and remove titles set aside for a particular course or set of courses, and students use the library’s LS2 PAC catalog to find and check out their designated course-related titles. 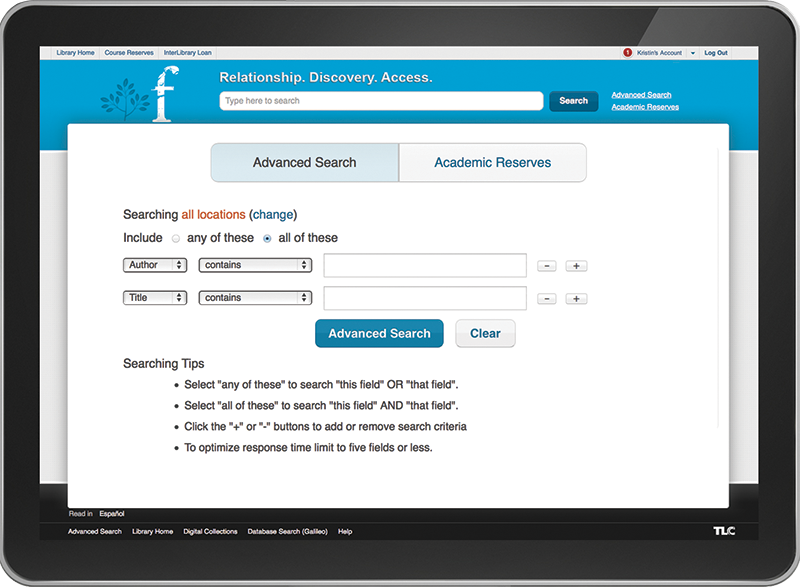 Academic Reserves includes more than a dozen user-selected criteria – Instructor, Course, Department, etc. – making your reserves filterable and discoverable. Items can be reserved for multiple courses, sections, and professors, and have multiple release dates. In-depth statistics allow libraries to gather extensive data on reserve titles. When the reserve period expires, items can be easily removed. Whether you have a few course reserves or thousands, TLC’s Academic Reserves makes assigning, tracking, and un-assigning items simpler than ever. The feature is available at no extra charge to Library•Solution users who utilize LS2 Staff and LS2 PAC. LS2 PAC is an elegantly designed, flexible, multi-application platform that merges library automation with the user-friendly, responsive platform for any screen or device. LS2 Staff combines core circulation functionality with the convenience of a Web-based product.